Forget mega expensive gimmicks and props. We teach you super memorable magic with easy to find items. 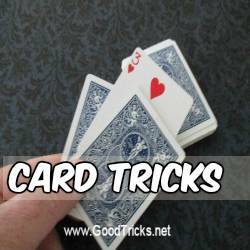 A pack of cards is the backbone of any magician's bag of tricks. An almost unlimited source of entertainment and fun can be had with this very useful tool. 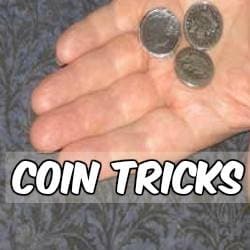 Coins are one of the easiest kind of items to get your hands on in most places. It's amazing to see the amount of fun and amazement that can be created with such taken for granted items. Don't invest your hard earned cash in expensive gimmicks when you can invest in yourself. A well practiced routine presented with a smile and some personality is priceless and can really enhance your conjuring act. Can't decide which category of magic to practice ? No problem. This chapter introduces the pick of the bunch in astonishing magic from many different subjects including levitation and bar tricks. 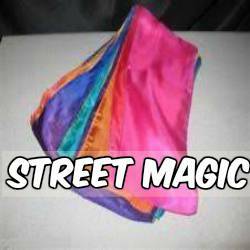 There are many magic trick sites and videos available online that are all competing for your attention. The problem here is that the amount of choice is overwhelming. Sorting out the good from the bad can be a long laborious task and can require a significant amount of time invested before you realize that the tricks are more difficult than you thought or that they are not explained clearly. Magic is an incredibly rewarding form of entertainment and art. Whether practicing as a hobby to entertain family and friends or to take it to a professional level. The choice is entirely up to you. 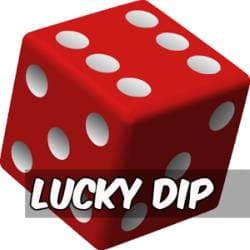 All we are trying to provide at GoodTricks.net is a hand picked selection of relatively easy tricks with a high entertainment value. They are explained in an easy to learn manner and will hopefully provide you with a kick start into this exciting and rewarding hobby. Have fun.